Smart and modern bed with a high padded headboard. 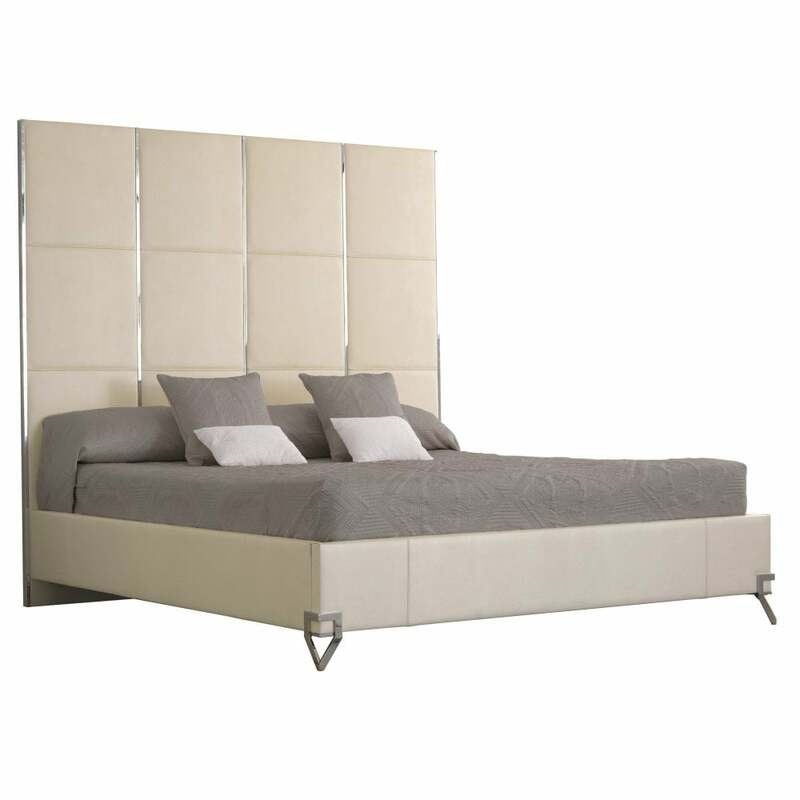 The headboard is finished with an elegant wooden panel which is available in a choice of high gloss wooden finishes. Please contact us for fabric and size options.